Interesting condemnation of Web typography by comparison with TeX at https://t.co/Nfl1WZQGtM - Web people, are we working on this stuff? However the author's idea of HTML is not quite up to date; he ignores how CSS and SVG combine with HTML to add richer typography. First he complains about hyphenation and ligatures. Hyphens are in CSS Text Level 3 and are implemented in many browsers though not yet Chrome. Ligatures are in CSS Fonts Level 3 and supported in many browsers too — Apple has done it for years. Here we have the TEΧ example, live rendering from your browser, and what Safari Mac made of it. Note the hyphenation and the ligatures. Also, I took out the spaces around the em-dashes that Lee Phillips oddly put in. Call me Ishmael. 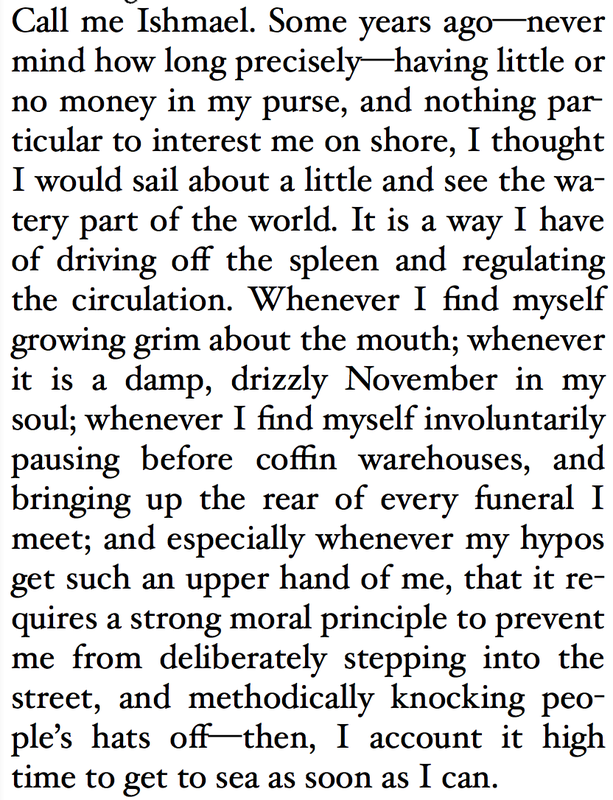 Some years ago—never mind how long precisely—having little or no money in my purse, and nothing particular to interest me on shore, I thought I would sail about a little and see the watery part of the world. It is a way I have of driving off the spleen and regulating the circulation. 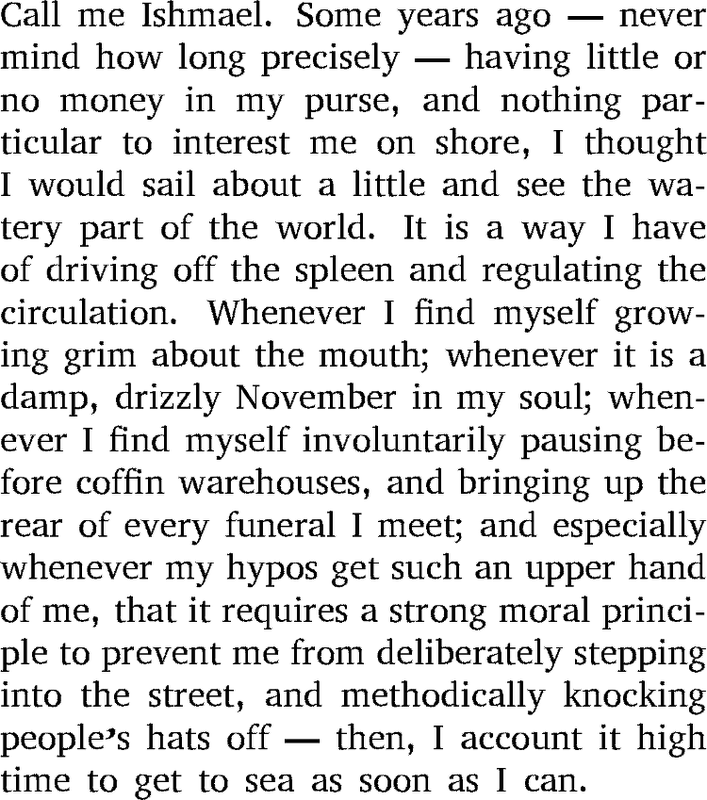 Whenever I find myself growing grim about the mouth; whenever it is a damp, drizzly November in my soul; whenever I find myself involuntarily pausing before coffin warehouses, and bringing up the rear of every funeral I meet; and especially whenever my hypos get such an upper hand of me, that it requires a strong moral principle to prevent me from deliberately stepping into the street, and methodically knocking people’s hats off—then, I account it high time to get to sea as soon as I can. Next Phillips takes on mathematical equations. His first example is eiπ = −1. Note how that was displayed fine inline, just by using <sup>, which has been in HTML for years, along with <sub> which I used to show the TEΧ e.
Here's the SVG code for that. You can see the tighter control. That said, many of the CSS specs I have linked to are still being edited, so this is a good time to try out authoring your mathematical papers that way and possibly proposing changes.